Ofsted Inspection Day is one of the most important in the entire calendar of any day nursery or pre-school as it’s the basis on which a public evaluation is made as to how good – or otherwise – a nursery is. Because the reports are accessible to the public, it is also something which has the ability to make or break the reputation and public perception of the nursery. An Ofsted Inspection could be considered a little like a very important exam which you must pass. However, like an exam, if you have done what was expected of you to the best of your ability in the run-up to the exam, and have a clear conscience as to the quality of your work, if you’ve prepared well and keep relaxed, then the exam itself is merely a formality. In this way, the ‘easiest’ Ofsted Inspections are ones where the nursery is already providing an outstanding service in all areas. Ofsted stands for the Office for Standards in Education. Set up in 1992 as a non-ministerial government body, its remit and function is to improve standards of education and childcare in Britain and in the process, keep records which try to measure those standards. 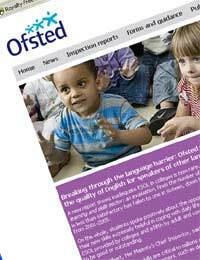 Part of Ofsted’s role is to inspect all kinds of educational and child-care establishments, including day nurseries. The inspections take place every two to three years during which time; the facilities must have shown improvement in the areas that were noted as needing it last time. Inspections are carried out by independent school inspectors, specifically trained by Ofsted. They have moved towards a less ‘critical’ style in recent years and favour a ‘short, sharp’ inspection (usually taking anything from a couple of hours to 2 days for large establishments) at short notice. Ofsted do not expect any special preparations for their inspection but as good practice, each nursery manager should be asking staff, ‘If an inspection took place today, would we be ready?’ In other words, the overall quality and standard of the nursery should be something that is constantly re-evaluated and enhanced on a regular basis. The nursery will also need to go back through their last inspection, picking up on any aspects where they have been found lacking, as these points will be re-assessed and a demonstrable improvement will be expected. Make sure the nursery is bright, welcoming, clean, well organised, and tidy.